Bluefin tuna. If you’re sitting in a sushi restaurant and you see this fish on the menu, you may want to think twice about ordering it. After all, the bluefin tuna — like African lions and elephants and Bornean orangutans — is teetering on the brink of extinction. 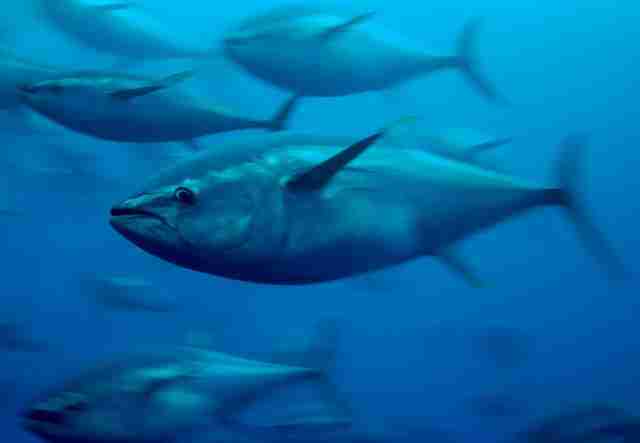 There are actually two types of bluefin tuna — Pacific bluefin and Atlantic bluefin. Both are in a lot of trouble. 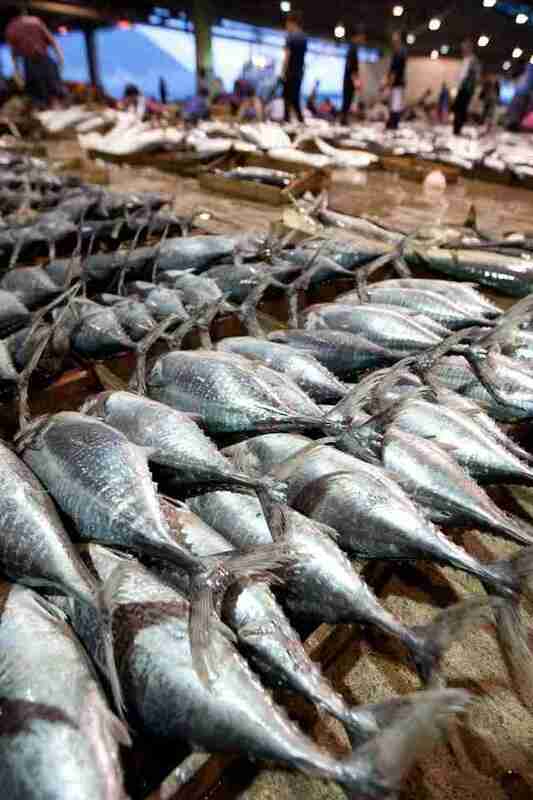 It’s estimated that 1.6 million Pacific bluefin tuna are currently left in the ocean, according to Catherine Kilduff, senior attorney at the Center for Biological Diversity. While this may seem like a large number, Ben Enticknap, Pacific campaign manager and senior scientist at Oceana, told The Dodo that’s about 2.6 percent of the original population. 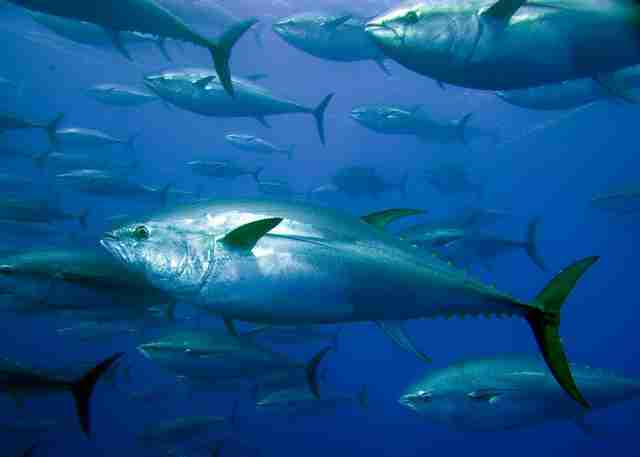 The Atlantic bluefin tuna population is somewhat larger than the Pacific population, but it’s also in danger. While exact statistics are hard to find, its population is known to be less than half of what it used to be, according to the International Union for Conservation of Nature (IUCN). Not only are lots of bluefin tuna being taken out of the ocean, but they’re also getting caught before they have a chance to reproduce — and this doesn’t bode well for their future. 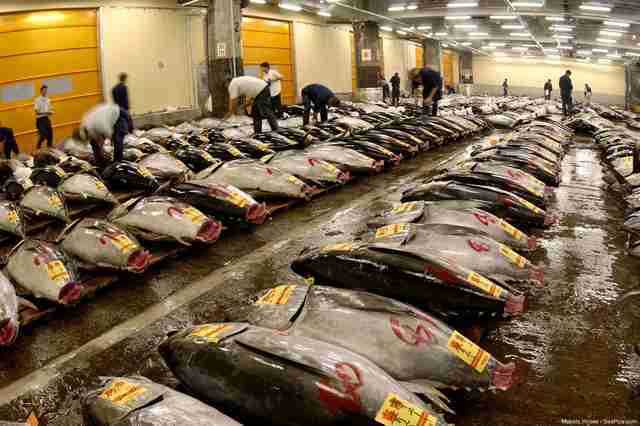 A great majority of bluefin tuna is sold and consumed in Japan and other Asian countries. 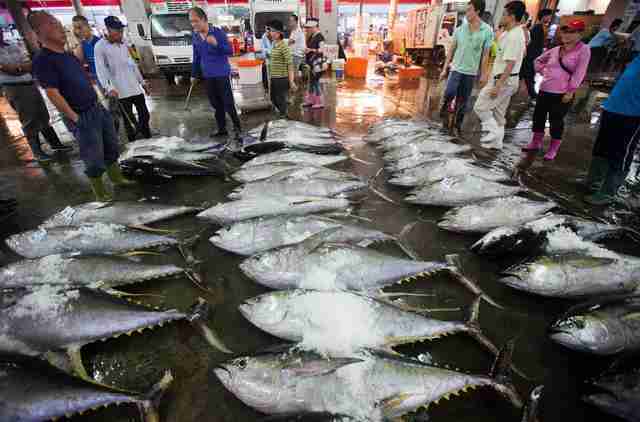 In fact, large tunas sell for hundreds of thousands of dollars. 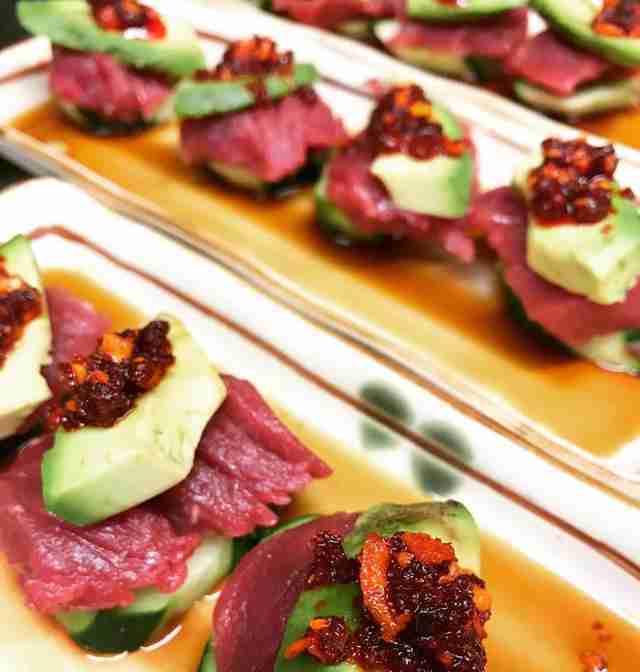 Bluefin tuna is also readily available in the U.S., usually at high-end sushi and seafood restaurants. 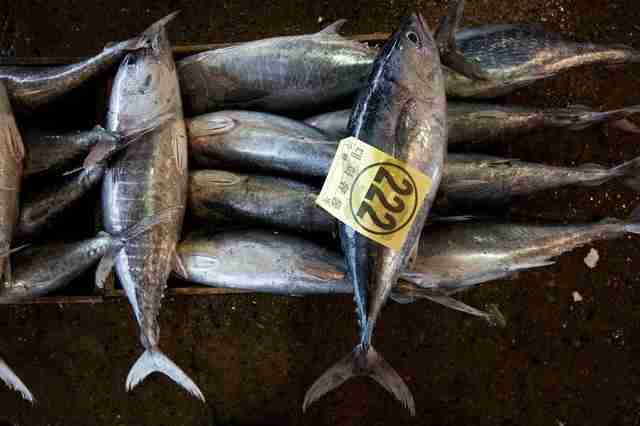 The Pacific bluefin tuna, however, is not getting the protection it desperately needs. While the IUCN lists the Atlantic bluefin tuna as “endangered,” the Pacific bluefin tuna is only listed as “vulnerable” by the IUCN, and has also been refused the endangered status by NOAA. Besides these conservation issues, Jonathan Balcombe, ecologist and author of “What a Fish Knows,” told The Dodo that it’s important to remember that fish like the bluefin tuna are fellow animals and sentient beings — and this raises ethical concerns about overfishing and eating them. While we might struggle to relate to fish as easily as land animals, Balcombe explains that numerous scientific studies show that fish are capable of experiencing pain and a range of emotions — just like people and other animals. “Scientists are starting to ask questions about how they think and feel, which shows that their social behavior, emotions and thinking abilities are far more sophisticated and complex than we previously thought,” Balcombe said. While there have been few — if any — cognitive studies that specifically look at tuna, Balcombe believes that tuna lead socially complex lives, and that we’re only beginning to understand these oceanic animals. 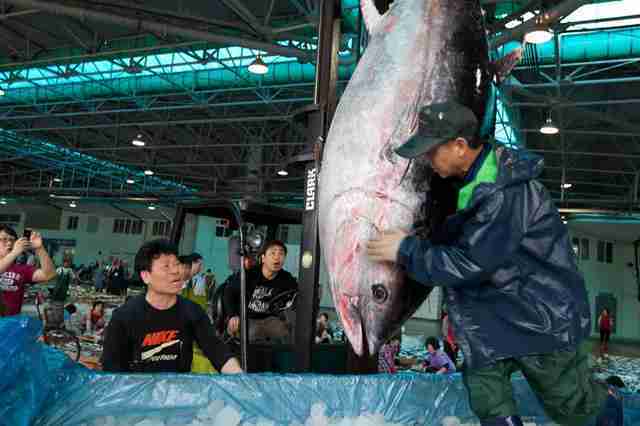 Sadly, if radical measures aren’t taken to protect the bluefin tuna, they may quickly go extinct, experts say. 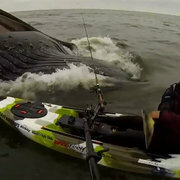 To help stop this from happening, you can sign this pledge or make a donation to Oceana or the Center for Biological Diversity.